After a few months without a regularly scheduled software update, Google Glass now has one in the form of KitKat. Google(s goog) took time off from monthly updates to deliver Android 4.4 to the wearable computer, which is ideal because KitKat is the version of Android that works better on devices with less powerful chips and smaller amounts of internal memory. Since all of the KitKat changes are behind the scenes, the most noticeable and welcome change should be a boost in battery life, which the current edition of Glass sorely needs. Getting through a full day with moderate use is a challenge with Glass because it has such a small battery. Google says KitKat makes the device easier to update going forward and will also help developers as they can use the latest software features available in the Android toolbox. Most of the other changes are small in nature but will definitely improve Glass’s usability. Photos will be bundled by day, for example, so that heavy picture-takers won’t have to scroll seemingly forever to find a particular shot. 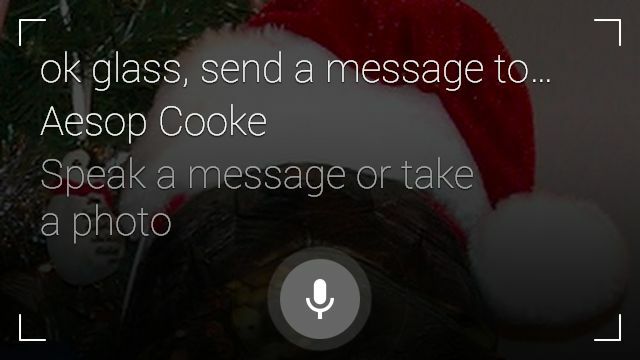 Glass will also learn which voice commands are used most and adjust the command menu accordingly. This will surface commands on the screen after saying “OK Google” so that the most likely commands will be shown first; that’s a huge potential timesaver, as the list can grow longer with each third-party app installation. 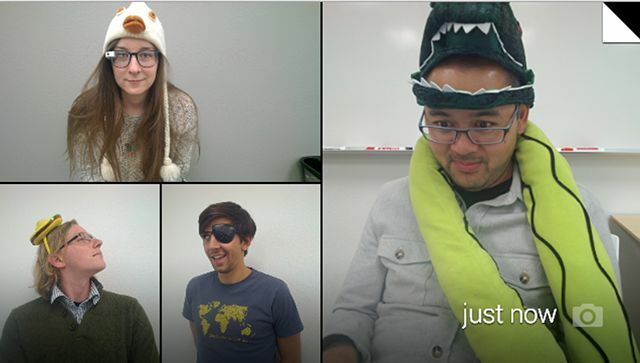 Glass also now supports photo replies in Hangout chats, a sort of MMS-style addition. It’s not all good news for the Glass update, however. Google decided to remove the video calling feature from Glass for now. The company says that only 10 percent of Glass owners use it — for the record, I don’t — and that the current implementation isn’t living up to Google’s standard. There are alternative apps in the works, says Google, so Glass owners missing the feature should watch the Glassware app store. The timing of the update is likely coincidental, but is rolling out on the one day that anyone can purchase Glass in the U.S. Typically, you’d need a an invite to buy Glass for $1,500 but Google is running a promotion on Tuesday to open the market for Google Glass, even throwing in a free eyeglass frame or shade with the purchase.